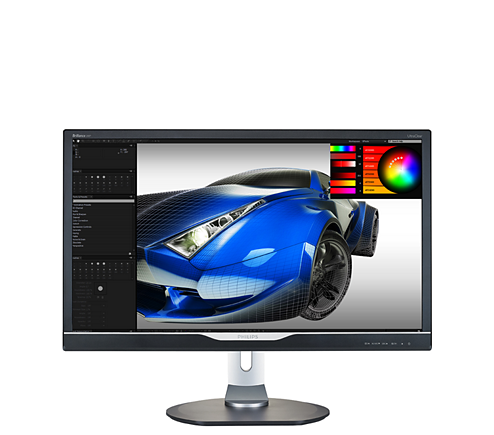 Philips Brilliance 288P6LJEB - 28" UltraClear UHD Display. See a new level of detail and clarity with the new Philips 28" UltraClear 4K display! Ultra HD. Four times clearer than Full HD, colors become richer, details become clearer. 4 times the resolution for more space to spread out.Great for Video Gaming, Computer Aided Design, Creative and Image Critical areas like Graphic Design, Videography and other areas which require maximum screen with maximum clarity.